Following from the 1940s wartime austerity , the 1950s was a time of growth and prosperity. Many economies around the world blossomed and grew. Consumers had more spending money available and the end of rationing opened up the way for new products. New colours and makeup products appeared, and the luxury cosmetics market took off. Marilyn, Grace Kelly, Doris Day and Esther Williams with classic 1950s makeup. Movie stars continued with their strong influence on the masses. 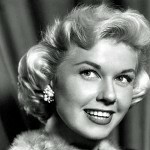 Leading ladies like Grace Kelly, Audrey Hepburn, Marilyn Monroe, Doris Day and Elizabeth Taylor had an enormous impact on styles, as did Betty Grable and swimmer Esther Williams – two of the biggest box office draws of the 1950s. Television broadcasts had resumed in the UK after total suspension during WWII, and by the early 1950s most of the country could now pick up a TV signal, thanks to a post-war effort to increase signal coverage. This, along with Queen Elizabeth’s coronation in 1953, resulted in a sharp increase in TV ownership during the 1950s. Watching TV was fast becoming a popular pastime for all the family – and the variety of shows brought new ideas and influence to the masses. Early 1950s TV was predominantly live and some adverts were no different! Following on from wartime restrictions, where many products were simply not available, rationing was now over and the cosmetic market bloomed. Most of the cosmetics were sold by just a few brands, including Max Factor, Revlon and Pond. The luxury cosmetic market took off, led by fierce opponents Helena Rubinstein and Elizabeth Arden. Not only did they sell makeup, they had a vast range of skin care preparations with exotic and expensively-priced ingredients. Max Factor was still the leader in invention and made products women wanted to use, inspired by the actresses who also wore Max Factor off screen. 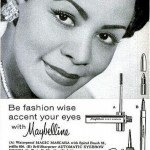 In 1953, the first all-in-one base and powder, Creme Puff, is introduced by Max Factor. 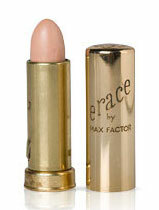 In 1954, they launch the first retail concealer, a flesh-coloured stick called Erace. In 1952, Boots relaunched its No. 7 range, which had almost disappeared during the war. The black and gold packaging was influenced by Hollywood. Avon came calling for the first time after cosmetic reps were introduced to call round at people’s homes to demonstrate and sell the makeup. After the losses during the war, there was a shortage of men – possibly encouraging women to “make the most of themselves” in order to snag a husband. Thanks to more labour-saving devices on the market, women had more time to themselves and wearing makeup was simply part of a woman’s routine and an essential part of being feminine – being without makeup was akin to forgetting one’s pants! The 1950s saw the emergence of the teenager as an independent consumer group with spending power. Young people now had disposable income – be it through jobs or their weekly allowance – and this money could be spent on whatever they liked. The cosmetic brands soon recognised this and marketed products specifically to this new consumer group with glee. Skin care products aimed at “teenage problems” like acne became more common and teens wearing makeup became acceptable, potentially a right of passage into womanhood. Publishers also recognised this new buying force and new magazines for teenagers sprung up. Articles focused on fashion, home life, advice, looks and popularity, with adverts completing the pages. 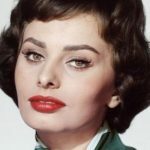 The classic 1950s makeup look was strong, chic and elegant. Lip colours were rich and intense, and pastel tints were in for eyes and the face. While lips were strong, the eyes were seen as important, and emphasising them, while retaining a “natural glamour”, was key. Eyeliner was popular on the upper eye, creating definition, as well as mascara. Brows were arched and strong, and pencilled-in to to define shape. 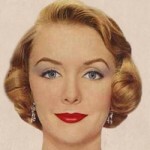 The 1950s woman had the option to wear foundation and/or face powder. Lighter or natural skin tones were in. Foundation came in liquid, cream and cake formulations. 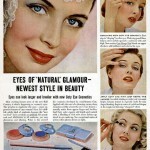 Pan-Cake, the Max Factor staple, was as popular as ever in the 1950s, selling tens of millions throughout the decade. The 1953 introduction of Creme Puff was very successful – an easy way to apply foundation and powder all in one go. All face products tended to be warm in colour, with a pink or peach base. There were also green powders, used to knock out unwanted red colouring. Eye shadow came in a variety of colours, mostly in shades of grey, brown, gold and the popular blue, green and purple pastels. Rouge was also used as eye shadow, as well as used to warm up the face around the temples and/or forehead. By the late 1950s, a shimmering lustre was added to makeup via a substance called guanine – it came from fish scales and guano! Colours were applied quite minimally and generally only one colour was used on the eye lid. It could be taken out to the sides to elongate the eye, but colour wasn’t usually taken right up to the brow. Popular eye shadow colours of the 1950s, taken from various makeup adverts from this era. 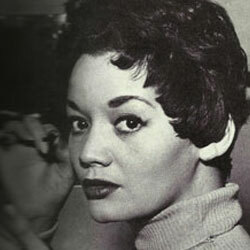 Singer Lita Rosa applying block mascara (1953). The 1950s saw the emergence of tube mascara with a wand – Helena Rubinstein and Max Factor both lay claim to being the creator of the new wand. Either way, mascara was every woman’s favourite. Block mascara and cream mascara in a tube were still used and applied with a little brush. Block mascara needed activating with water, but most women would simply spit onto the block, mix to create a liquid paste and apply. Mascara was mainly applied to the top lashes only. It came in various colours, from the standard black, to brown, navy blue, emerald green and purple. At the start of the decade, eye brows were dark and strong, with pencil being used to fill in and define the shape. Brows gradually became softer – still pencilled for shape, but softer – less “crayoned in”. The fashionable shape throughout the decade was a strong arch with brows of a decent thickness that tapered out at the ends. The thickness varied from medium to very thick. The eye brows of various 1950s icons: (top L to R) Sophia Loren, Audrey Hepburn, Liz Taylor; (Bottom L to R) Diana Dors, Marilyn Monroe and Grace Kelly. Lips were the strongest element of a 1950s makeup, with red being the predominant lipstick colour choice. Red lipstick varied from true-red through to deep and dark brown-based colours, to more orange-based. Lipstick also came in shades of pink, orange tones and coral colours. In 1950, the first long-lasting lipstick was introduced to consumers. No-Smear Lipstick was invented and manufactured by American chemist, Hazel Bishop, and sales were nothing short of phenomenal, from a mere $50k in 1950 to over $10 million in 1953. Lip liners were used, sometimes to draw a line outside of the natural lip line to create a fuller-looking lip. Some typical 1950s lipstick colours. These are Revlon colours launched in the ’50s. From L to R: Stormy Pink (1950), Love That Red (1951), Certainly Red (1951), Fire And Ice (1952), Cherries In The Snow (1953), Hot Coral (1956) and Persian Melon (1957). 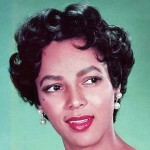 Rouge was used sparingly and is not a prominent feature of 1950s makeup. It came in soft pinks and corals. It was often used to warm up the face, not just on the cheeks, but around the temples and forehead and so on, to add a “soft warm glow”. Corson, R. 2004. Fashions in Makeup: From Ancient to Modern Times. Peter Owen. 664pp. Peiss, K. 2011. Hope In A Jar: The Making of America’s Beauty Culture. First University of Pennsylvania. 352pp. Sherrow V. 2001. For Appearances’ Sake: The Historical Encyclopedia of Good Looks, Beauty and Grooming.Greenwood. 288pp. The 1950 era is quiet inspiring. This information was very useful throughout my studies. Great site. I am writing about my mother in Los Angeles in 1952. Anyone who has written about the red lipsticks, their Sheen, creamy texture, shades, I would appreciate hearing from you. Thank you. Could you possibly list any brands that still make the same colours etc today? This helped me with my theatre class so much thank you! I loved your HONEY color lipstick back in the 1950’s. It was my first lipstick. Is there any chance that you still make that color but maybe have a different name on it? Please let me know. Thank you. Hi Eleanore. We don’t make any cosmetics – we are simply makeup artists writing about stuff! 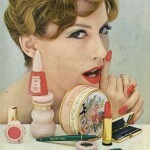 I really like the make up trend of the ’50’s and I tend to lean toward reds for my lipstick. I also apply lightly blush on my cheekbones, around my temples, and across my forehead for a more natural look. Great article!